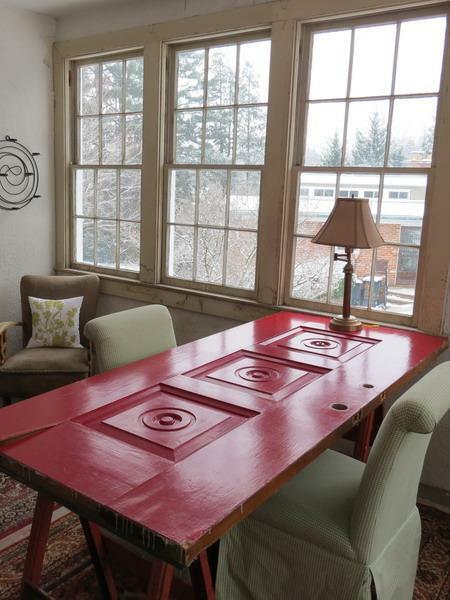 Recycling wood doors for unique and modern tables is a great idea for all who appreciate handmade furnishings and avoid furniture that is too common. 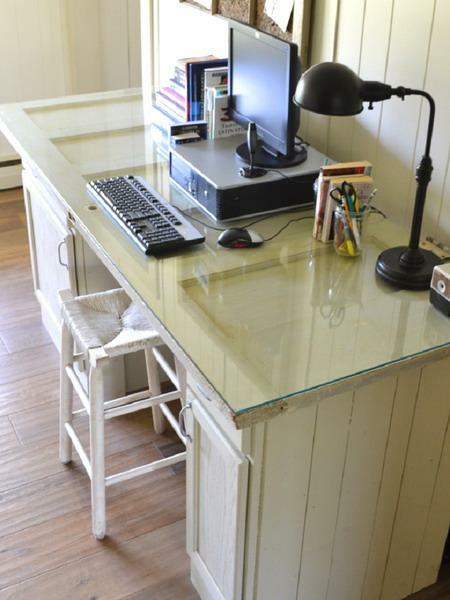 DIY furniture design ideas for recycling wood doors are perfect for you if you prefer something more personal and creative. 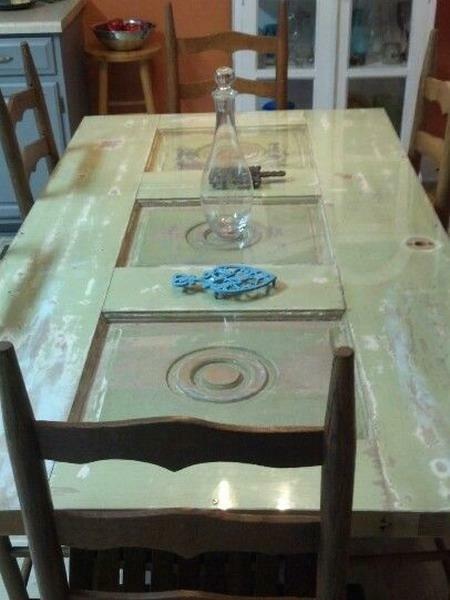 Lushome shares some inspiring design ideas for DIY projects to turn old wood doors into beautiful modern tables. Recycling wood doors is fun, and you may want to consider custom made dining tables, coffee tables and console tables for your home interiors and outdoor rooms. It is a wonderful Green living idea. Handmade furniture is unique and eco friendly. Wile recycling wood doors you get rid of clutter, give a door a new life and express your personality, bringing creativity into your interior design or outdoor home decorating. Custom-made or handmade, unique furniture recycling wood doors looks amazing, blending old and new materials with creative and original design. 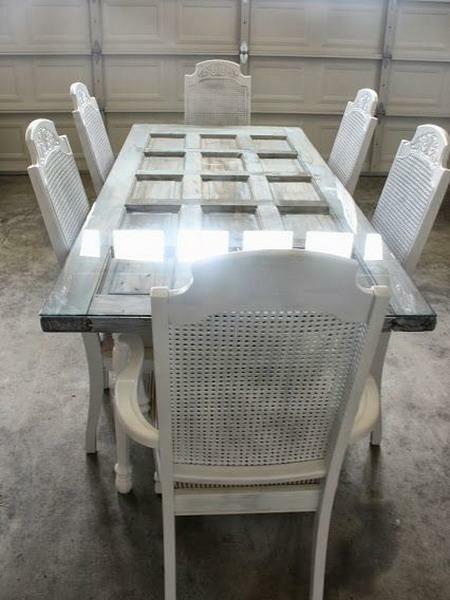 Handmade dining tables recycling old wood doors are stylish furnishings that demonstrate unusual solutions for interior decorating and make a statement. Handmade modern tables recycling wood doors are personalized and unique furniture, great for creative, meaningful and intimate home decorating. DIY enthusiasts and craftsmen create one-of-a-kind modern tables that are Green and symbolic. The appropriately sized dining tables that fit into the available spaces give new life to old wood doors and decorate rooms with exclusive pieces that are versatile, suitable for many home interiors, from kitchen nooks and dining rooms to home offices and game rooms. 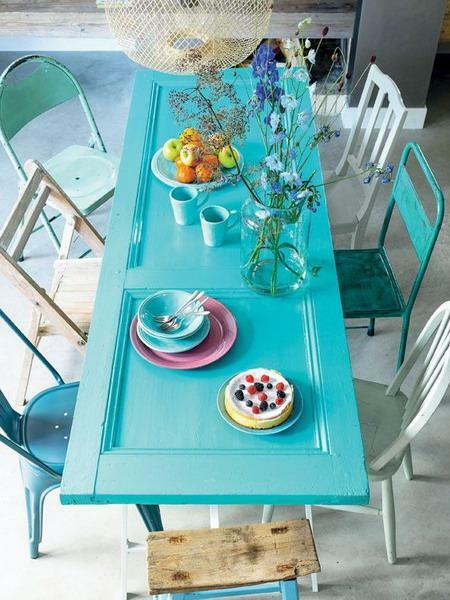 The right paint color helps to decorate modern tables made with old wood doors and enhance interior design color schemes while matching the handmade tables to existing decor. 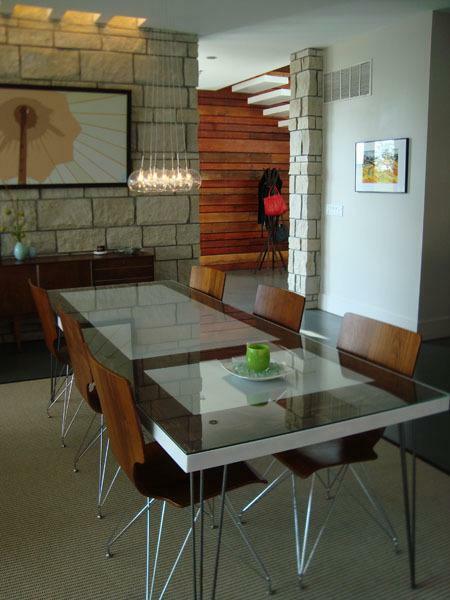 Recycling wood doors for modern tables creates durable room furniture. 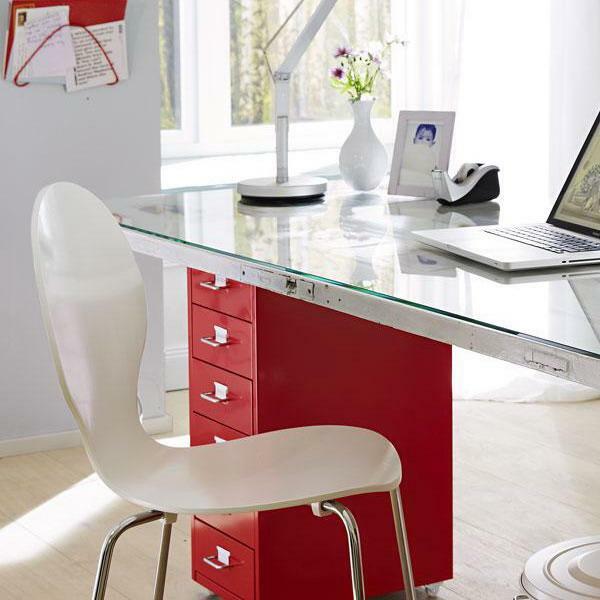 High quality materials used in the manufacturing process of a door and a good base make dining tables, coffee tables, console tables or office desks strong and stable. 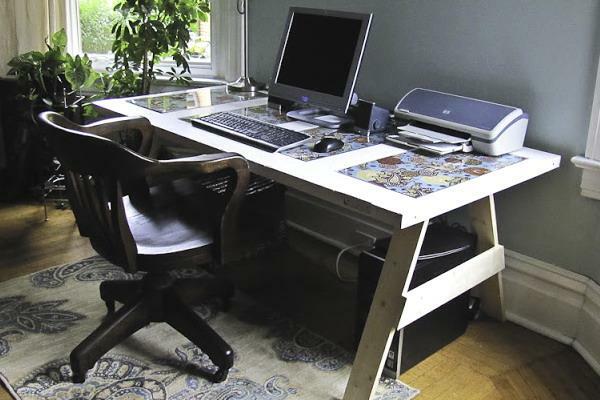 DIY enthusiasts and craftsmen add more benefits to these dining tables, coffee tables, console tables and office desks. 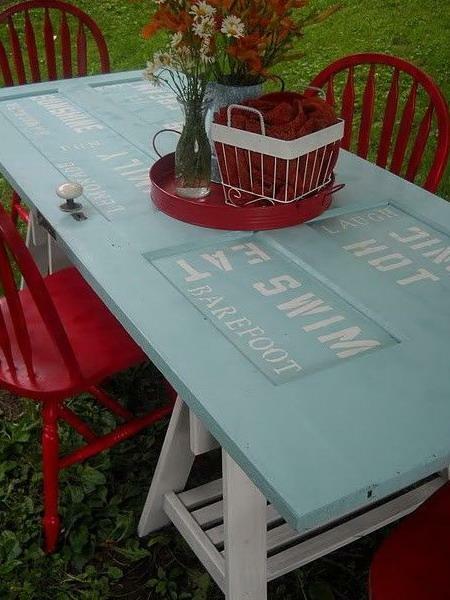 They create beautiful room furniture while recycling old wood doors because it is their passion. 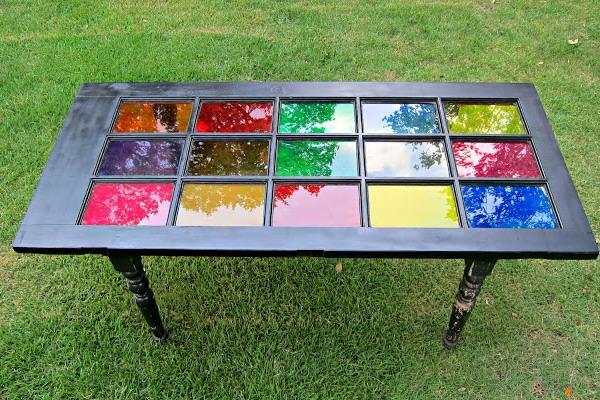 These modern tables can be decorated with glass and creative furniture painting.